Micro GPS systems are growing rapidly in popularity. They’re so simple, straight forward and give just the right amount of yardage information most club golfers need. 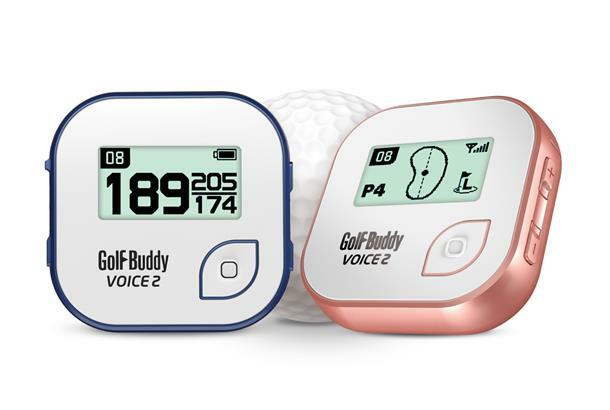 GolfBuddy’s new Voice2 gives all the basic distances, but unlike others because its got a voice it can also read yardages to you just like a real caddy. You just need to clip the tiny unit to your cap, belt or pocket. Walk to anywhere on the golf course where you need a yardage and press the single front button and the Voice will reel of yardages for you. All the usual distances are shown on screen too so if you find you prefer having distances on your wrist simply attach the included strap and turn the unit into a watch.